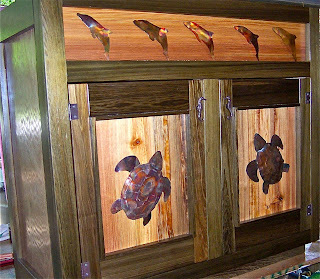 SEALIFE custom art bath vanity cabinet is constructed of naturally green colored deadhead cypress and warm golden heart pine. 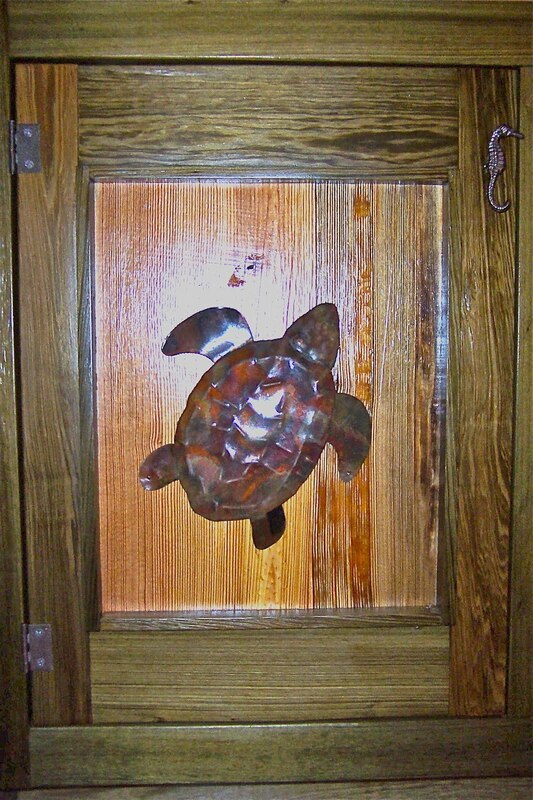 Dolphins and sea turtles of hammered copper with sea horse knobs joyfully celebrate Florida marine life. 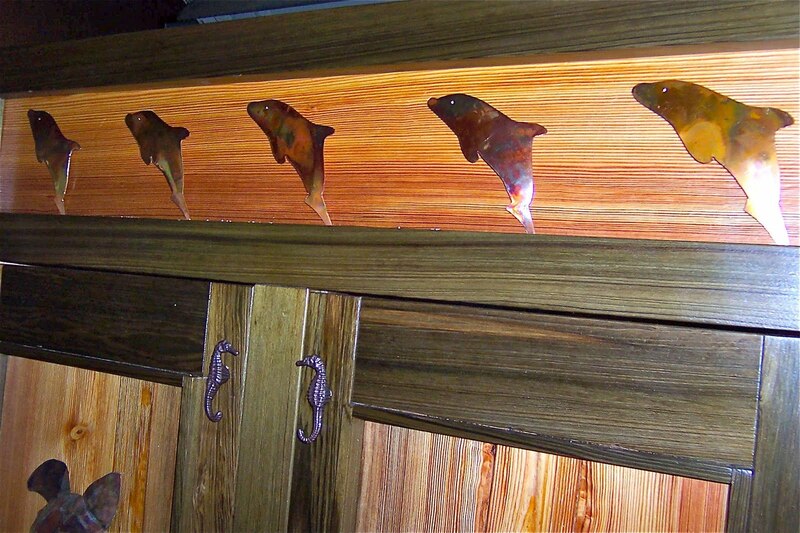 The Sealife vanity cabinet lives in the guest bath of a Key Largo cottage.